The design of the 12-foot Vermont Packboat is Kevlar composite construction with a unique hull shape that combines rounded aspects, flat aspects and angled aspects, all of which come together to produce a speedy little seaworthy craft. Our Packboat marries the best of modern and traditional features creating a boat that inexperienced rowers can handle with confidence and experienced rowers find simply delightful. It is light enough for most anyone to carry or easily transport. A solo fisherman can easily carry the boat into wilderness lakes. 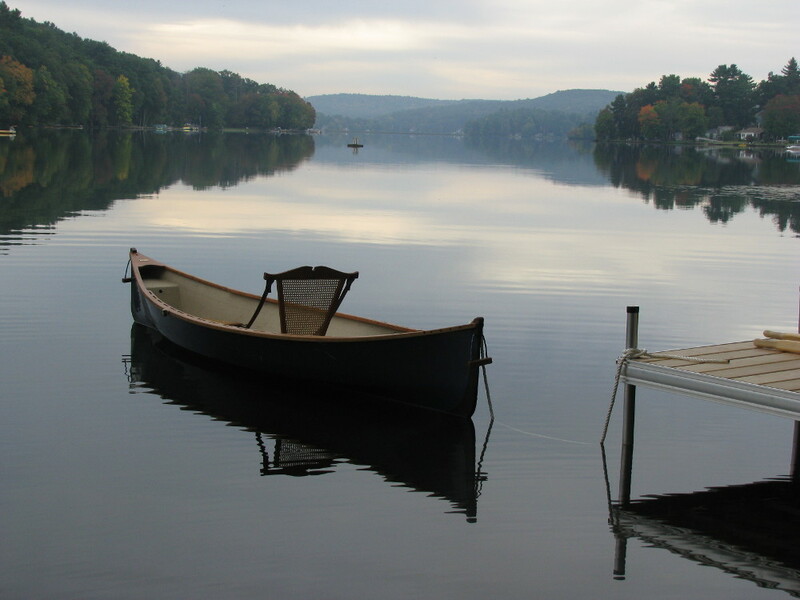 Our Vermont Packboat is a light, agile, fast, safe, seaworthy boat that is above all easy to row. We shot the video clip below in the Old Port of Montreal. We were doing a show on the water….Jacques hadn’t rowed anything in 40 years….and had never rowed a boat like ours. Yet, it seems as if he and the Vermont Packboat became instant friends. After playing with the boat for 10 minutes or so….among other things, Jacque rowed against the rush of water as they opened the canal lock. A short while later our former president, David Rosen, went out to join in the fun. The boat hull is built with a Kevlar composite and trimmed with select cherry wood. The Vermont Packboat includes two maple oars, three cherry caned seats, one cherry caned backrest for the stern seat, one cherry caned backrest with adjustable leather straps that moves between the bow and center seat, one cherry footrest, Okume floor boards, one set of oarlocks and two Kevlar skid plates.